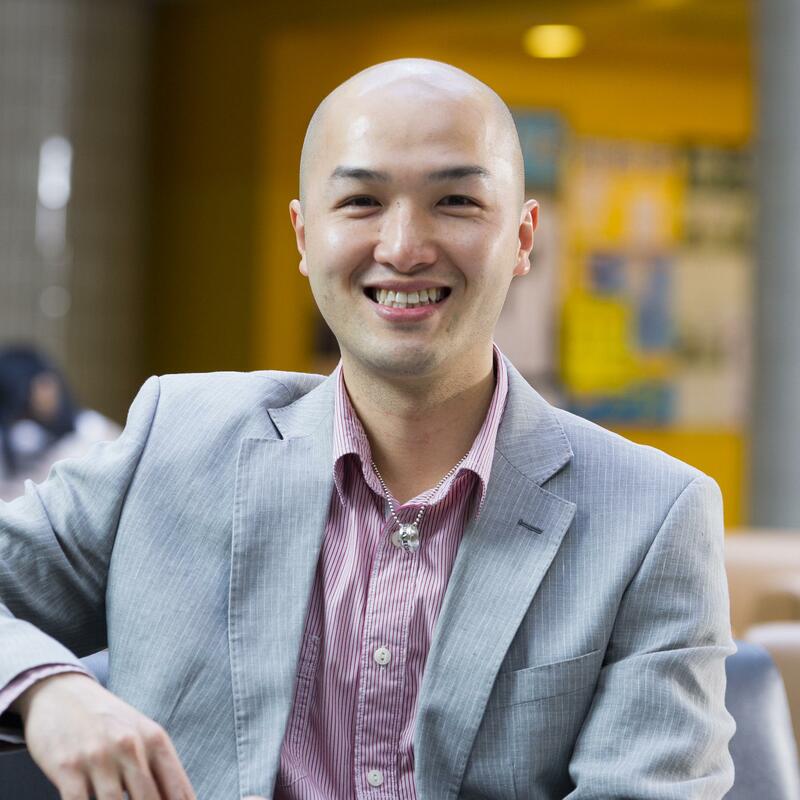 Kin-Kit (Ben) Li joined the Department of Social and Behavioural Sciences at City University of Hong Kong since 2009. He received his Ph.D. in sport and exercise psychology from Oregon State University in 2008. His research interests include sport and exercise psychology, physical activity promotion, social gerontology, health communication, time perspective, and life-course theories. 2012 “Fellow” Research Consortium, American Alliance for Health, Physical Education, Recreation and Dance. Uncovering the Mechanisms of Message Framing for Promoting Physical Activity: An Aging Perspective, General Research Fund, Research Grants Council, Amount: HKD $550,000, 2014 - 2017, K.-K. Li (PI). Integrating Positive Psychology and Elements of Music Therapy in Treating Adolescents with Suicidal Ideation, General Research Fund, Research Grants Council, Amount: HKD $403,800, 2013 - 2015, S. Kwok (PI), M. F. Law, K.-K. Li, & E. Mak (Co-Is). Negotiating Health Goals over the Lifespan: The Role of Future Time Perspective and Self-construal, Early Career Scheme, Research Grants Council, Amount: HKD $391,200, 2012 - 2014, K.-K. Li (PI), S.-T. Cheng & F. Lang (Collaborators). Risk Perceptions and Message Framing in Physical Activity Promotion: An Aging Perspective, General Research Fund, Research Grants Council, Amount: HKD $568,453, 2011 - 2013, K.-K. Li (PI), H. H. Fung & S.-T. Cheng (Co-Is). Li, K.-K. , Ng, L. , Cheng, S.-T. & Fung, H. H. (in press). Reverse Message-framing Effects on Accelerometer-assessed Physical Activity among Older Outpatients with Type 2 Diabetes. Journal of Sport & Exercise Psychology. Li, K.-K. (2013). Domain dimensionality and temporality of outcome expectancy for physical activity among middle-aged and older Chinese adults: A latent profile analysis. Psychology of Sport and Exercise. 14(5). 682 - 691. doi: 10.1016/j.psychsport.2013.05.007. Woekel, E. , Ebbeck, V. , Concepcion, R. Y. , Readdy, R. T. , Li, K.-K. , Lee, Hyo. & Cardinal, J. B. (2013). Physical activity, nutrition, and self-perception changes related to a university “Lifetime Fitness for Health” curriculum. The Physical Educator. 70(4). 374 - 394. Gibbons, S. L. , Ebbeck, V. , Concepcion, R. Y. & Li, K.-K. (2010). The impact of an experiential education program on the self-perceptions and perceived social regard of physical education students. Journal of Sport & Exercise Psychology. 32(6). 786 - 804. Bickman, L. , Riemer, M. , Brown, J. L. , Jones, S. M. , Flay, B. R. , Li, K.-K. , Dubois, D. , Pelham, W. Jr. & Massetti, G. (2009). Approaches to measuring implementation fidelity in school-based program evaluations. Journal of Research in Character Education. 7(2). 75 - 101. Li, K.-K. & Chan, D. K.-S. (2008). Goal conflict and the moderating effects of intention stability in intention-behavior relations: Physical activity among Hong Kong Chinese. Journal of Sport & Exercise Psychology. 30(1). 39 - 55. Li, K.-K. , Cheng, S.-T. , Fung, H. H. & Li, C. K. (2013). Moderators of the message-framing effects on physical activity. Research Quarterly for Exercise and Sport. 84 (Suppl. 1), A73. Li, K.-K. (2013). Physical activity risk perception scale for diabetic: Development and preliminary validation. Psychology & Health. 28 (Sup1), 252. Li, K.-K. & Ng, L. (2013). Reverse message framing effect on accelerometer-assessed physical activity among Chinese older diabetic patients. Psychology & Health. 28 (Sup1), 119. 2012 - Now, Editorial Board Member, Journal of Sport & Exercise Psychology. 2015 - Now, Assistant Head (Programme Administration and Development) , Department of Applied Social Sciences. 2014 - Now, Member, College Research Committee. 2013 - 2015, Associate Major Leader, B.S.Sc. in Psychology. 2013 - Now, Student Exchange Coordinator, Department of Applied Social Sciences. 2011 - 2015, Alumni & Mentoring Schemes Coordinator, B.S.Sc in Psychology. 2014 - Now, SS3717 Psychological Testing. 2012 - Now, GE2222 Sports, Culture and Society. 2012 - Now, SS2033 Research Methods for Behavioural Sciences. 2011 - Now, SS5790 Psychology Research Paper. 2009 - Now, SS5794 Psychological Testing.